POS-X EVO TP6D : EVO TP6 POS Terminal (Intel Core i3 dual core, 8GB DDR3, 500GB HDD, No O/S) Sleek yet robust, the EVO TP6 is an enterprise grade Point of Sale terminal designed for today's POS market. A fanless design and optional wall mounting allow for installation in any location. VERSATILE PLATFORM: A dual hinge design allows for efficient shipping and almost unlimited tilt angels. Built-in VESA mounting extends the versatility of the platform to any wall mount installation. FAN-LESS DESIGN: A fan-less design provides a sleek, clean look, and silent operation. No vent openings mean better protected internals from dust and water reaching an IP54 ingress protection rating. MULTIPLE CPU OPTIONS: Support for Intel CPUs ranging from the efficient J1900 to the powerful Core i5, the EVO TP6 is sure to fit any application. 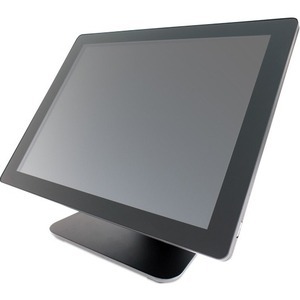 RESILIENT TOUCH DISPLAY: The EVO TP6 features a 15" LCD with TruFlat projected capacitive (PCAP) multi-touch technology built to take the rigors of heavy every day use. 3 YEAR ADVANCE REPLACE WARRANTY: Call POS-X 24/7 US based support and if we can't fix it over the phone, we will ship a replacement unit to arrive within two days. Upgrades to overnight and/or 5 years available (Part #s: ZOE-TPC3, ZOE-TPC5, ZWE-TPC).